Orange. Stop Two on the Rainbow. The Power Color. Orange is joyous and thought to stimulate creativity. For me ... it is just a happy color. 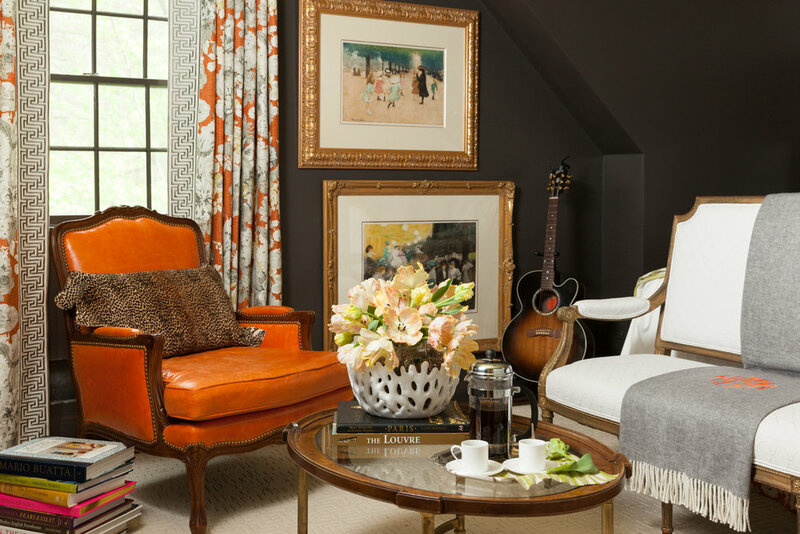 Bringing orange into a room makes it bright and cheerful. This Master Bedroom, from my Peckham Hill project, is the perfect example of bringing in a strong color but not feeling garish because it is balanced by moody dark tones. So rather than screaming ORANGE ... it whispers ... oh, come sit here and be happy! 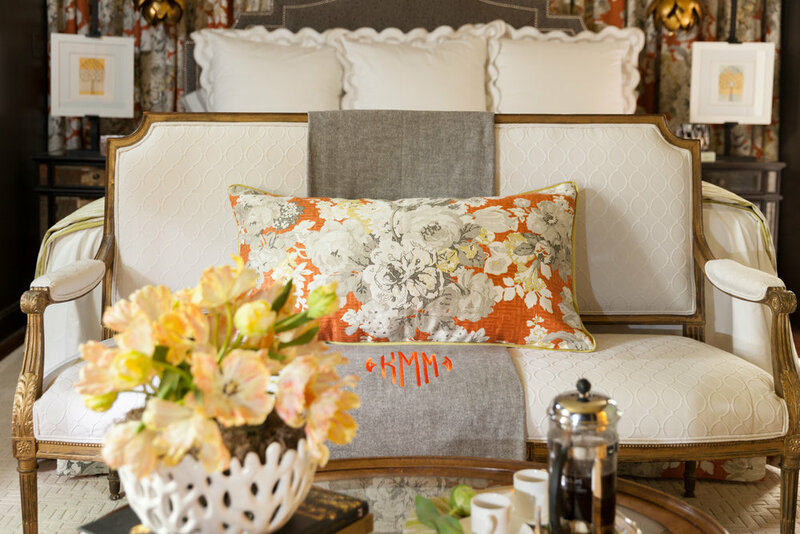 This bedroom cocoons you with its' moody walls, and the orange brings in the light making it cheerful by day and cozy, warm by night. Another one of my favorite projects Pleasant Street, features this fun boys bath. The orange color scheme along with the turtles make it fun for a boy, but also grown up enough for a guest bath when needed. Orange might be my absolute favorite color. I can wear it, live in it and look at it unendingly! One of my very first "real" projects, almost 10 years ago, was this one from Wyndstone Way where orange takes center stage! Orange is powerful and happy! Next time you need a little refresh ... think Orange!! And just remember it truly is ... all in the MIX!